Is a tool designed for IT that requires extra SAP authorizations. You need to be fairly technical to use it, and only a few people in the organization usually have access to it. The error-handling process is very cumbersome. A single error will stop the whole data upload and doesn’t help you much on identifying the wrong data. It’s not flexible. If you want to change an LSMW script, the process can take a long time before a change is approved and implemented. 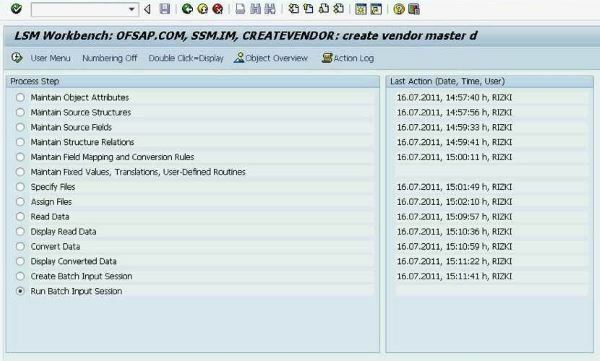 It has restrictions and requires workarounds when recording some of the transactions that have changed in S/4HANA, such as the Business Partner CVI interface instead of customer and vendor IDocs. It’s hard to keep the audit trail as IT is usually running LSMW scripts on behalf of the business, who actually owns the data. 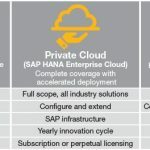 So, why are system integrators and SAP consultants still using LSMW as one of the main tools for migrating data to S/4HANA when it’s an outdated technology and SAP is clearly advising against it? Option 1: SAP Rapid Data Migration package, based on SAP Data Services software. Predefined best practices content for critical data objects based on SAP Data Services software to extract, transform, map, and validate legacy data for upload to S/4HANA on-prem using SAP NetWeaver IDoc technology. Basic Data Integrator: There is a basic free offering included in the HANA license, that provides ETL functionalities for loading legacy data in S/4HANA on-premise, but without further data quality and reporting capabilities. Full Data Services: The complete offering is separately licensed (not part of SAP S/4HANA) and unleashes all data quality features for mitigating risk during the data migration process. Option 2: SAP S/4HANA Migration Cockpit, a new basic tool included free of charge in S/4HANA 1610 and onwards with a browser-based UI and predefined templates and mapping for the most common master and transactional data objects. In addition, you can use a tool called Migration Object Modeler to adjust the predefined standard migration objects or to create additional ones. 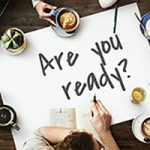 The main challenge of these two options is that they are still technical tools designed for the IT department, and they don’t facilitate the participation of the business, who are the owners of the data and can ensure high data quality in the new system. Besides, even though the SAP tools offer predefined content for the critical data objects, we often find cases where it doesn’t cover 30%-40% of the objects in the project’s scope, which means technical resources need to get involved to create additional custom mass upload programs. 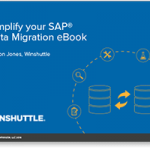 Winshuttle Studio offers an easy and flexible alternative to complete a full S/4HANA data migration project, or fill the gaps companies will encounter using SAP tools. Its fast implementation helps organizations address that long tail of data objects that are often excluded from the project, and also react to all those inevitable changes in the scope when things like mergers and acquisitions happen. 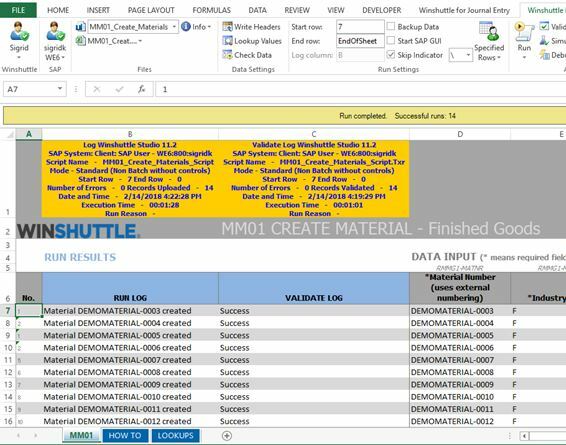 With Winshuttle, business users who are usually the owners of the data can use Excel to extract SAP data from a legacy system, manipulate it and upload it directly into S/4HANA, accelerating the data migration process, reducing costs, and removing the dependency on costly IT resources or consultants.